We didn't want kittens to miss out this Christmas, so we've put together a limited edition pack to help them celebrate. 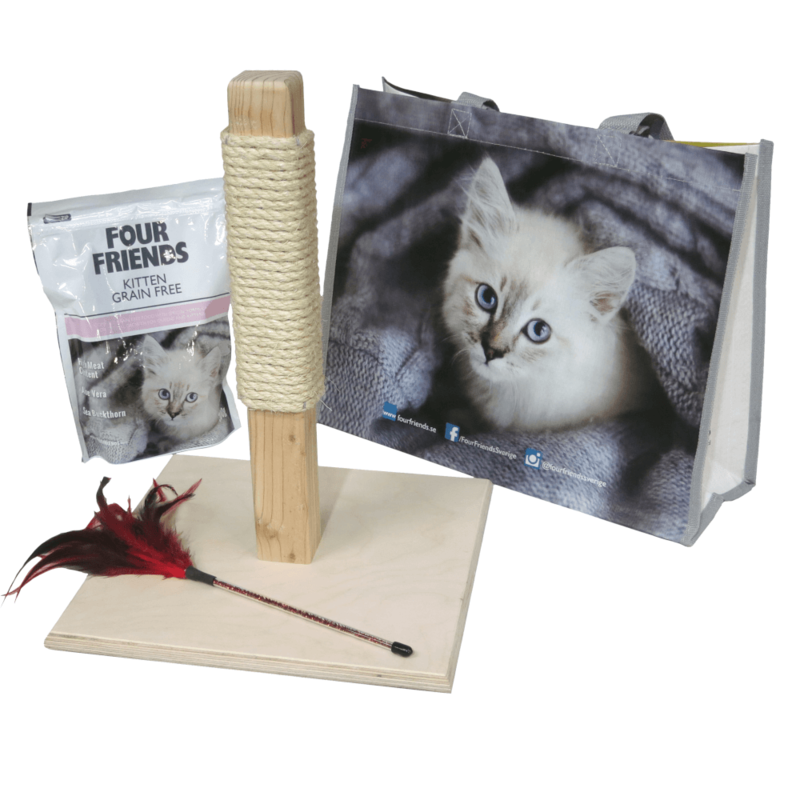 Solid timber post kitten scratcher, wrapped in natural sisal rope; on a sturdy plywood base. Norsvana teaser (colour may vary). Natural Feathers securely attached to a 18cm long rod. Hand made in Cumbria by Norsvana. A Four Friends bag for life. There may even be a discount voucher for money off your next Four Friends website order.